Looking to meet us in your neighborhood, check out our campus, or come to one of our public programs? Check out what’s happening, where, and when, by clicking the links below! Click here for dates and locations of Camp Fairs in Manhattan & Brooklyn, NY and Montclair & Ridgewood, NJ. Click here for dates of Open Houses and Tours on our Campus. Enrollment for summer 2019 is open and ready for all you eager camp birds! So seize the day, don’t delay, make hay, and enroll as an early bird today: sign up and pay in full by October 1st to receive 10% off the cost of camp tuition! You can see early bird prices here and sign up here. Do you like nature? Do you like to write, paint, or take photographs? Have you always wanted to share some of your writing, art, etc.? We’re calling upon folks of all ages (we’d especially love to receive submissions from our campers!) to help The Dirt evolve into an active forum for those who make up our community. 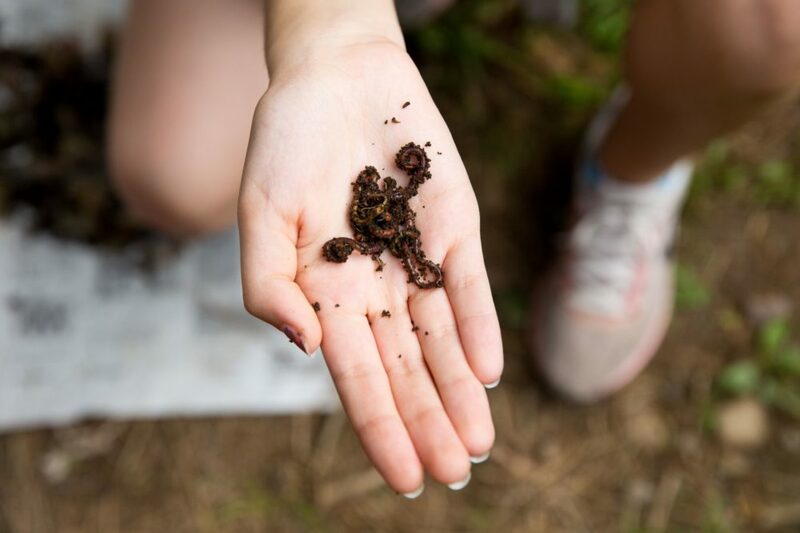 If you feel inspired by anything relating to outdoor education, childhood, sustainability, nature, or the seasons, please send it in to us and we’ll put it in The Dirt! https://thenatureplace.com/wp-content/uploads/2018/09/EV0A3304-resize-1-e1537386704272.jpg 228 282 Daniel https://thenatureplace.com/wp-content/uploads/2014/11/TNP_Final_OTL_Web_sm.png Daniel2018-09-19 15:52:182018-09-19 15:52:18Call for Submissions! We closed the 33rd year of The Nature Pace on a good weather note, unlike the beginning of the week when scattered thunderstorms and drenching downpours graced us at camp. Thursday night, the night of our Remembering Summer Slideshow, was beautiful, with a gentle breeze and clear skies. It felt like maybe, just maybe the best night of the summer. Watching our end-of-camp slideshow, in the same spot I’ve watched it for now 33 years in a row, always pulls on my heart, and makes me feel bittersweet about the end of camp. The tenets of the night have stayed the same – the katydids, the bright stars, and the joy/sadness shared by campers, families, and staff closing out a summer together. Our camp harvest day up at the farm also had us taking advantage of Thursday’s great weather, when we all hiked up to the fields of Duryea Farm to harvest onions. Accompanied by guitars and signing and laughter, l’ll bet we picked about 2,000 pounds of onions! Coming back to camp from the farm we took a woodland path, a few groups at a time traveling down it in silence. We were trying to spot the group Q campers and counselors, who were hidden and camouflaged along the way, blending into the forest on either side of the path. You could look straight at them and only see the woods! “Happiness, I found it right here” said a camper pointing to her heart. We are truly grateful that you’ve been a part of our camp family this summer! You can expect to hear from us now and then over the year. Besides sending out the Dirt (our monthly newsletter) September through May, we’ll also send you some gifts to remind you of the warmth and fun of camp. These will include a cookbook of Eva’s yummy recipes from the summer, a winter solstice card (signed by your camper’s counselor, shhh…it’s a secret), our end-of-summer slideshow, and a few flower seeds in the springtime which you and your child(ren) can plant to grow and get ready for next summer, 2019. 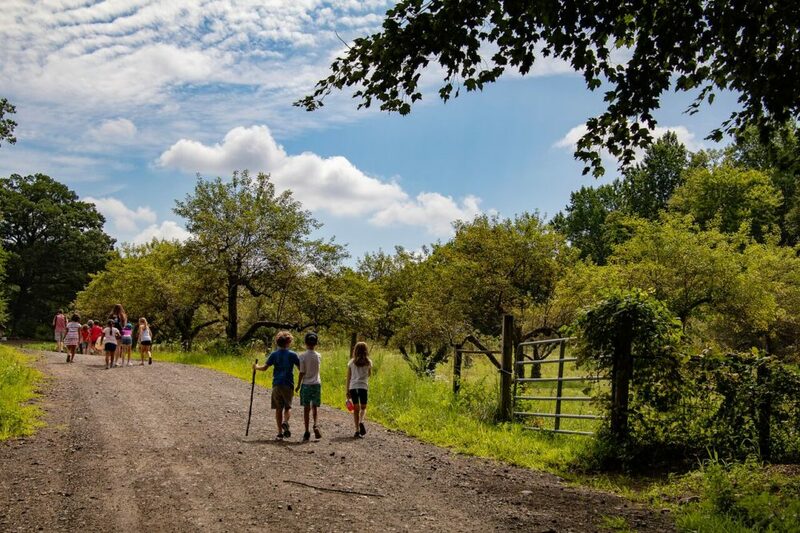 If you’re already ready for next summer, you can catch the early bus to bargainsville and enroll as an early bird for The Nature Place in 2019, saving 10% on camp tuition. On Saturday we had our staff party at the Threefold Cafe. This is always a special time where we get to recognize all the hard work and dedication of our counselors and activity leaders and support staff. We eat a yummy meal together and then watch a funny, heartfelt staff slideshow. After the slideshow, right before departing, an apt analogy was brought up. We, the year-round and core summer administrative staff, are like a sourdough starter. A sourdough starter is necessary to make a loaf of sourdough bread, but without additional flour and water and maybe a pinch of salt, there’s no bread, only the potential for it. The counselors and activity leaders and support staff that work with us for our brief, intense summer season are the difference between a great sourdough starter (just sitting on the shelf) and a fresh, delicious loaf of bread – they really make the final result possible. Within this analogy, we noted that this year the loaf of bread was especially delicious! It does feel that this just-ended summer was an especially connected one, and that feeling of connection and purpose shared joyfully between staff, campers, and families is a gift I am truly grateful for. Thank you for being an integral part of the living entity that is The Nature Place! It’s hard to believe we have one week of camp left at The Nature Place this summer! Time really does fly when we’re having fun. What a week for weather we had! Torrential storms made for an interesting, wet 5th week of camp, but our good spirits, the hard work of activity leaders, the camping department, and our counselors made lemonade out of lemons. The theme of the week was ‘Terra-tactile’ and featured lots of sensory exploration, inspiration drawn from the earth, and dinosaur themed skits. 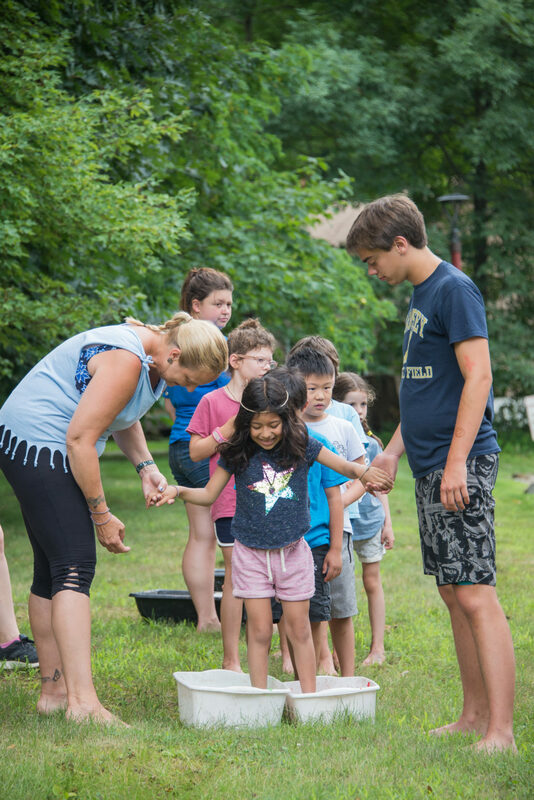 This week also featured the Barefoot Zone – the ultimate tactile experience – when campers were able to let their feet, which are usually encased in shoes, wander through some of the following: rice, birdseed, beans, water, air, humus, ice, sponges and more. The last item was the biggest hit – red and green jello! 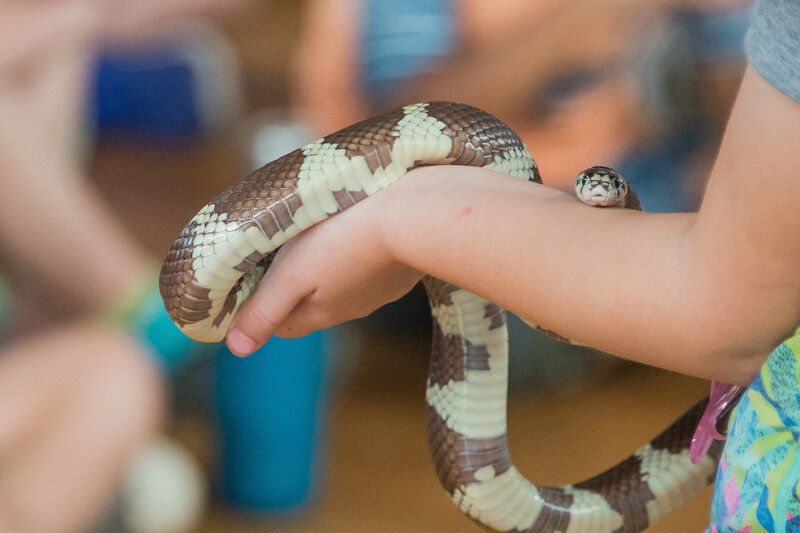 Outragehiss Pets brought in a giant marine toad, a rabbit, a monkey–tailed skink, stick insects, rats and a milk snake. In Storytelling with Chuck we heard about Buzzy’s new challenge and Tessy’s continuing run-in with nature. Campers wrote songs in Music, using some of our traditional camp songs as inspiration for parody. In Nature with Alex, campers practiced sense meditation – opening up each sense one by one. They also played keeper of the fire, which required them to use their quiet, fox-walking skills and focus with all their senses. In Cooking with Eva, campers were paleontologists in the kitchen! Younger campers made kale chips using dinosaur kale, made butter, and excavated a root vegetable ‘fossil’ from salt dough. Middle aged campers (relative to our camp ages, not campers in their 50’s…) made dinosaur eggs – hard boiled eggs were encased in a vegetarian meatball mixture and then baked (like a scotch egg, if you’ve ever had one). Older campers took part in a cooking challenge, making food based on the provided available ingredients. All dishes in the food challenge had to somehow incorporate dinosaur kale! In Outdoor Skillz campers practiced creating arrowheads and spear points using pressure flaking techniques. 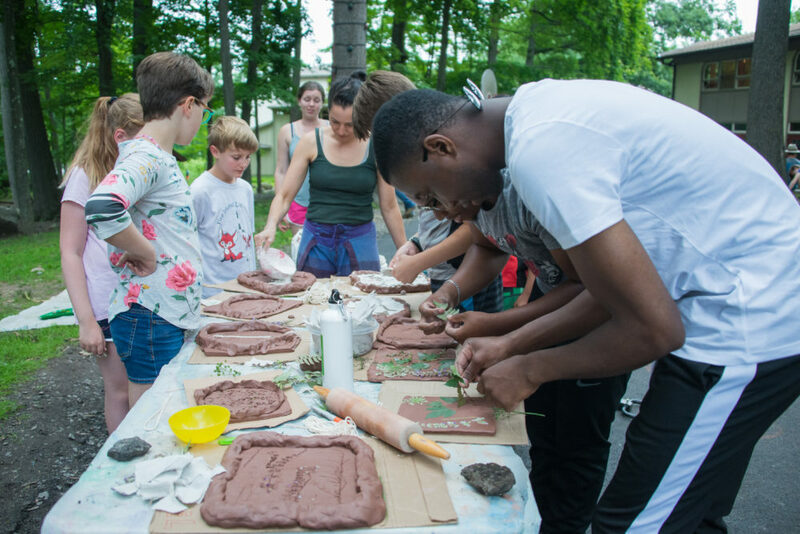 In Art, campers created clay and plaster molds, using plants and other natural materials to create beautiful patterns after the plaster dried. In Drama with Janet, campers played the tactile game show, ‘Name that stuff!’. They also felt their way through the woods and forests, blindfolded, identifying what they encountered through ‘feel’ only. Campers also learned about a pterodactyl who could only express BIG emotions. In Nature with May, campers learned all about turtles and tortoises, seeing the differences between sea turtles, ‘regular’ turtles, and land-lubbing tortoises. 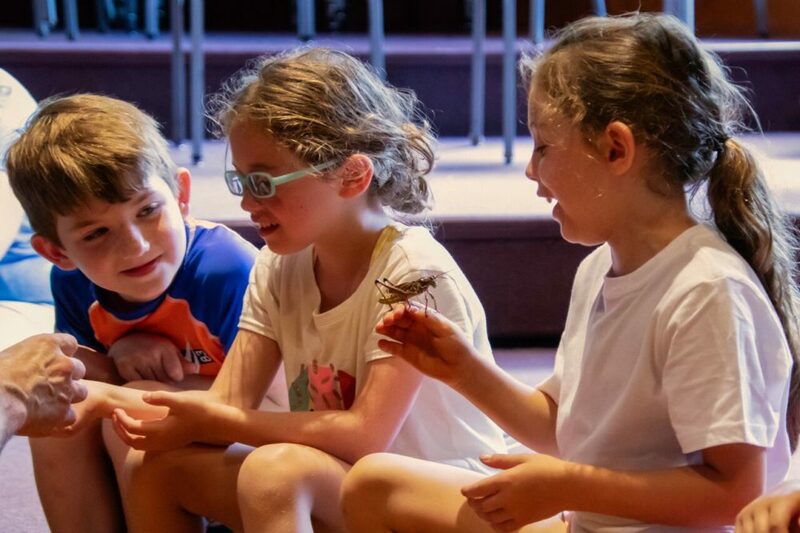 Campers also explored pollinator plants and their pollinating friends the hummingbirds, moths, and butterflies. In the Garden, campers had fun getting down and dirty with the compost! We played with worms, learning about how they help turn food waste into fertilizing gold, layered compost materials and mixed potting soil. Last week was a big week for our camping department. Scott led two groups through white and flat water on the Delaware River, backpacking trips nimbly maneuvered through the weather, and many almost-overnights had a grand time setting up tents, eating outdoors, and then ending the evening with a campfire before returning home for the evening. The week will also feature a few final day hikes and camping trips, including group Q’s two-night rock climbing trip, where they’ll scale world-class rock face in the nearby Shawangunk Mountains. Our all-camp Harvest Day will take place on Thursday morning, and the rumor is we’ll be harvesting onions and beets, and lots of ’em! Don’t forget that Wednesday, August 8th, at 7:15 pm will be our end-of-summer celebration. The evening consists of a camp sing-along and slideshow from the summer season, and is a chance for campers, families, friends, and staff to gather together and celebrate the concluding camp season. 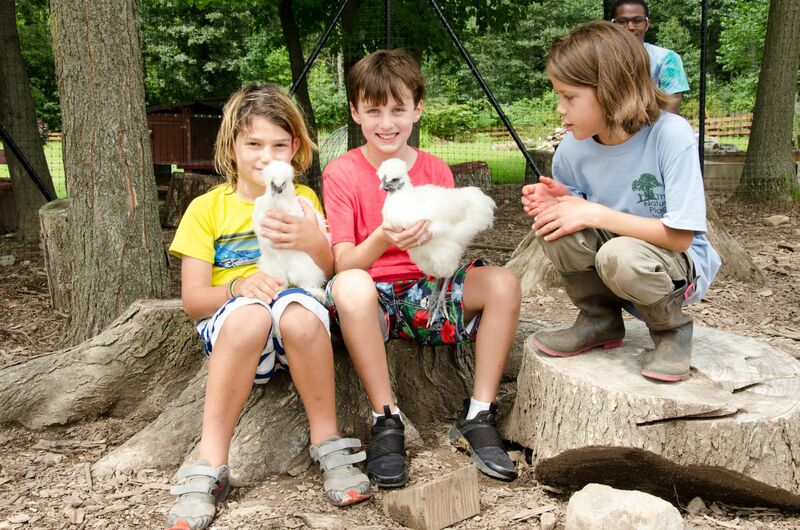 Before The Nature Place comes to a close we’ll send you a message detailing our early bird enrollment opportunities for next summer, 2019, which give you the opportunity to enroll for next season at a discounted rate. I’ll see you next week for our last week together (unless you’re joining us afterward for one of our three week-long programs). It has been our pleasure for you to trust us with your children this summer, a responsibility we take seriously and joyfully. The weather this past, fourth week at camp was certainly wild! Heavy rain and thunderstorms made for a wet start to the week, but somehow we only had to reschedule one day hike. Groups splashed in puddles, explored the rushing fairy stream, and discovered how the ‘regular’ world of camp can turn into a dripping jungle. In the early mornings of these rainy days, you could find our team in the camp office, looking at multiple forecasts, scouring the radar and hourly predictions, debating the various options for outgoing camping trips and for other outdoor activities (which are almost all of the activities at The Nature Place). The theme of this last week was verbose but fruitful: ‘Oh deer, there’s a whistle pig in the garden!’ Woodchucks (or groundhogs, depending on your word choice), deer, and pigs with whistles populated our morning shares and humor throughout the week. Mom: Do you want to take a small stuffed animal with you to sleep with? Camper: No, I’d be too scared to lose it. Camper: Yes, besides camp has already given me something. Mom: Oh yeah, what’s that? Hula hoop musical chairs, Name That Song charades, a fast-paced rhythmic high-five game, and trying not to laugh at funny songs in Music. Hearing stories and learning all about deer and their “limiting factors” in a game called ‘Oh Deer!’ with Nature Alex. Making yummy granola in Cooking with Eva (pigs love oats, a granola staple). This activity also included an outdoor dishwashing station and reading passages from Michael Pollan’s The Omnivore’s Dilemna for older groups. 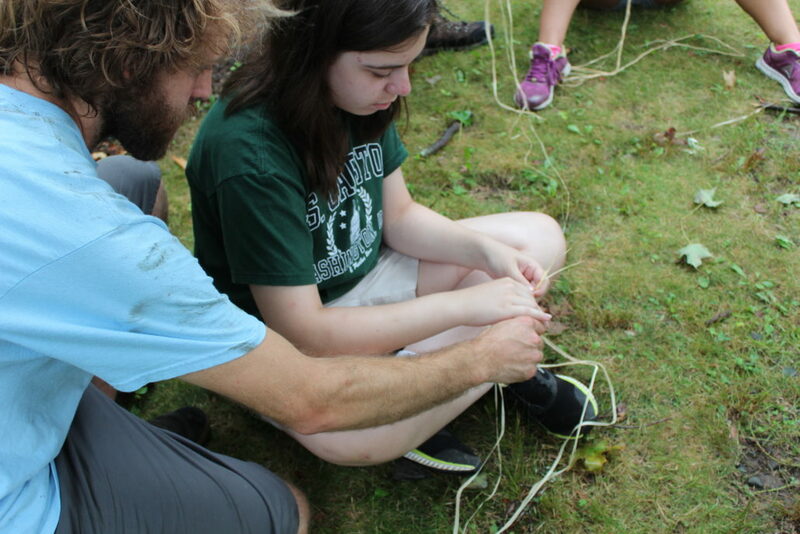 Learning how to make cordage in Outdoor Skillz with Joe, as well as stalking and silent moving through the woods. Creating an all-camp mural on a large piece of canvas, using pastel, watercolor, and tempera paints in art. Camp groups collected plants from the woods and gardens and then used these to make prints, creating their own art-garden on the canvas! Each camper took home a piece of the community project. Playing ‘Deer in the headlights’ (an indoor flashlight game), building a whistle pig machine, and creating skits about why the groundhog/woodchuck is called the whistle pig in Drama with Janet. Learning all about bears, getting to see how big different species are in relation to our own size, and playing ‘How many bears could live in this forest?’ with Nature May. Hanging out with a cockatoo, wallaby, snapping turtle, cool constricting snake, and a sugar glider in Outragehisss Pets. African drumming and games with Mashobane. Climbing up the tall oak tree which is our camp’s ‘climbing wall’. The continuation of this summer’s story with Chuck, swim lessons down at the pond, Games with Leah, Nature with Ed, and plenty of rain for everyone! Hobby choices on Wednesday included archery, climbing, drumming and games, farm, hammered plant bags, knife skills, lip-balm-making, mucking with May, skit builders, terrarium-making, “There’s Stuff for Pizza in the Garden” (pizza-making), and wood working (napkin holders). This coming fifth week of camp’s theme is ‘Terra-tactile’. You can imagine getting in touch with the earth, feeling your way through things, and making bad puns about flying dinosaurs. The camping department and Scott Dunn (Director of Programming, iron squirrel extraordinaire) will be busy again next week. There are three day hikes planned, four Almost Overnights, three backpacking trips, and two Delaware River canoe trips – one flat water and one white water. We’re so sorry we had to reschedule last week’s evening of Storytelling with Chuck, but are so excited that it will instead be happening this coming week, at 7:15 pm on Thursday, August 2nd. The evening will be as entertaining as ever, and Chuck is not to be missed. Our fun, end-of-summer family evening, featuring an outdoor slide show, dessert, and music, will take place on Wednesday August 8th. All of this, plus camp families and friends, along with camp counselors, activity leaders, and administration will make for a wonderful evening. More details to come. Please note: We have five spots left in our Art & Earth program and five spaces left in Passages. Farm and Garden Days has ten spaces left. 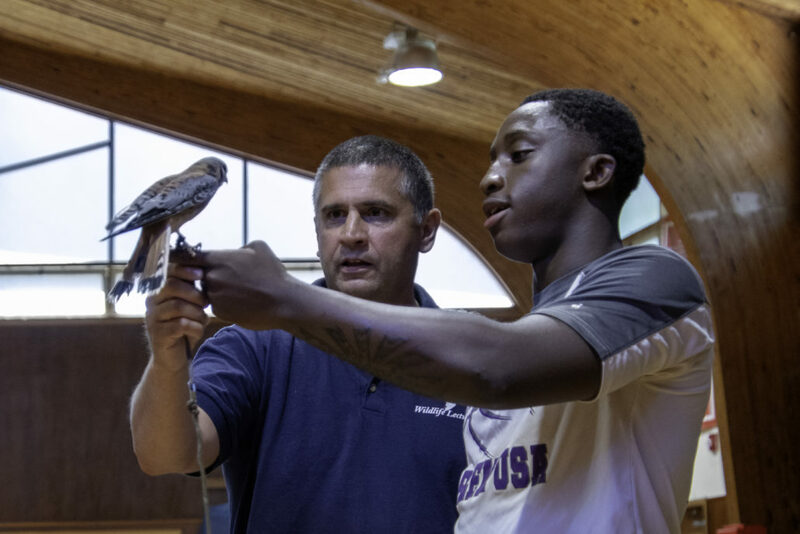 If your family is interested in enrolling a camper in one of these three programs occurring the week after Nature Place ends, the time to do so is now. These last few mid-late summer days have been full of the sounds of cicadas, and the evenings resound with katydids and crickets. Only a few fireflies still light up the fields and forest, and cool mornings have been giving way to hot afternoons. To enjoy this beautiful summertime with your wondering children is a joy and privilege. Talk about some beautiful camp weather! Our whole second week of camp has consisted of cool mornings, warm afternoons, and bright, blue skies. Over the week, we had our eyes toward the sky, looking up to spot the few clouds that ‘snuck in’ now and again. The theme of this past week was Branch Out. 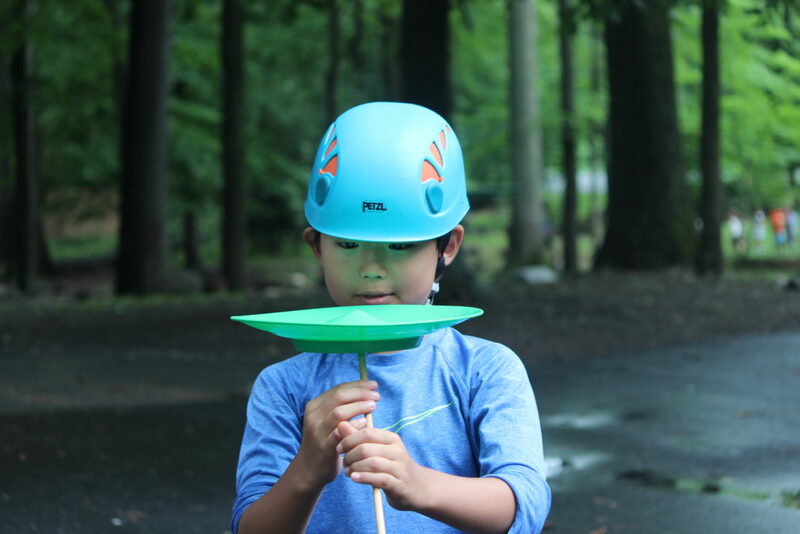 Campers and staff were encouraged to try something different, to extend out of their comfort zone, make a new friend, go out on a limb, to grow and stretch. Naturally, the week was also filled with all things tree and branch-related: nests, birds, squirrels, leaves, stems, sticks, twigs, and more! In fact, during one Morning Share we had four “expert researchers” share with us about which term they believed to be the proper name for those “things” on a tree–‘branches’, ‘limbs’, ‘sticks’, or ‘bows’. Each expert had their own firm opinion as to which word was correct. Luckily, the confusion was settled during the next Morning Share, when a rapper appeared and rapped his way through the controversy, bringing all parties together. Campers were making animal noises and it was getting really loud. A counselor said “now everybody be a rock” and the group became instantly quiet. In Music, campers branched out into other activities in a surprising way. They learned about invasive species and then wrote songs that they sang to ‘invade’ other groups and activities. Much fun was had! In Nature with Ed, we made stick sculptures throughout campus, in sand boxes, in the woods, anywhere we could! I was amazed how all campers, of varied ages, really got into this project. In Nature with Alex, campers learned about the life cycle of trees, and began to distinguish between different types of leaves. We wondered at the silvery glimmer of jewelweed held underwater, and learned about how to use it if we get any bites or poison ivy. Campers also heard the Hopi story of Coyote Woman. In Nature with May campers played the ‘web of life’ game, learned all about snakes and bats, played snake/bat games, and told many tree riddles. In Cooking, campers made vegetable/legume/potato dishes, and branched out of their culinary comfort zones by exploring some unusual seasonings. 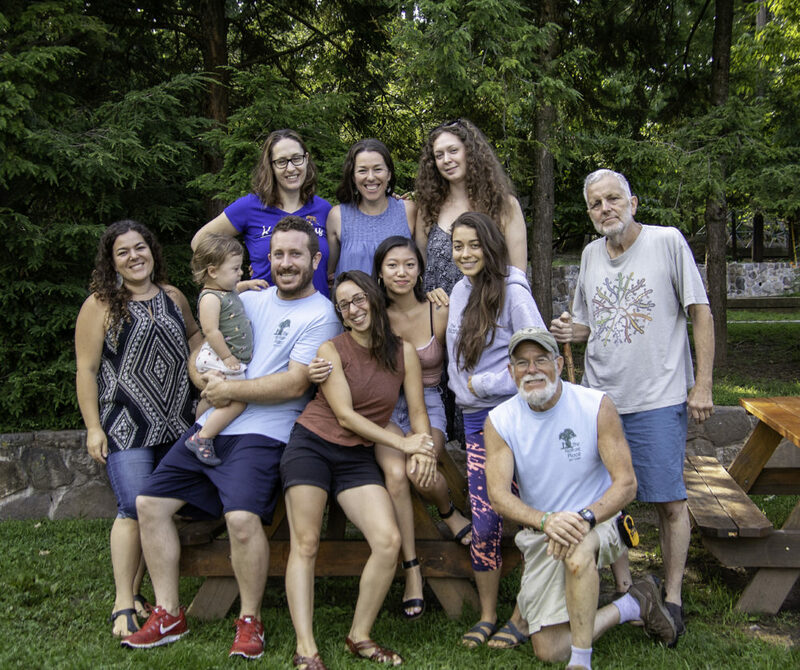 Younger groups made guacamole and tortilla chips, mid-aged campers (not middle-aged campers in their 50’s…) made a variety of vegetarian spreads and dips, and older groups made potato ‘burgers’ with Indian seasoning and cilantro and peach chutney. In Outdoor Skillz, campers explored different methods of making fire – ranging from matches to using bow drills. Collecting proper materials, building and lighting well-built structures, and the one-match fire challenge were some of what we did. In Art this week, campers learned about the Indian art of kolam. Using natural materials like rice, birdseed, and chalk, campers created beautiful mandalas, symbols, and pictures all around camp. Campers also made bubble wands out of branches, as well as collected materials to make trolls. 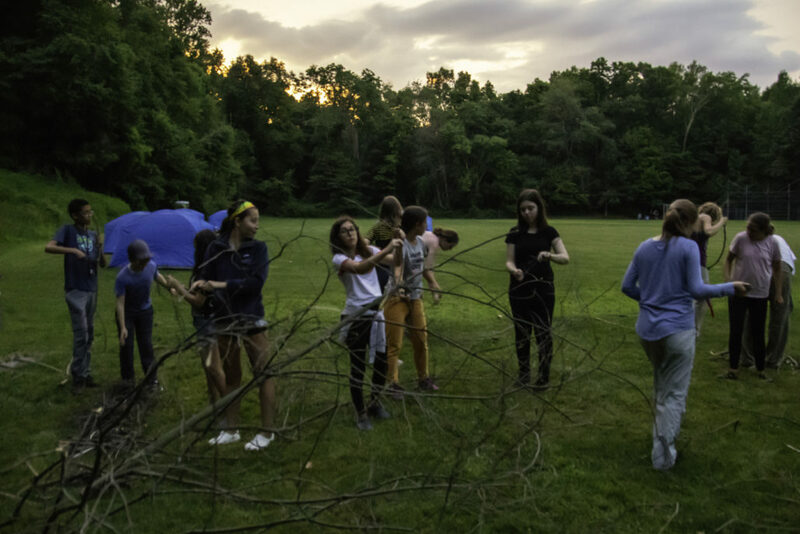 In Drama, campers formed invisible webs out of branches, listened to the sounds make by trees overhead, used stumps and sticks as prop prompts, incorporated tree and branch puns into skits, and worked with imaginative evolution – from seed to root to trunk to branch to a mighty oak. Outragehisss Pets brought us a fennec fox, a tree frog, a tarantula that ended up on a counselor’s head, a bearded dragon, and the cutest, dust-bathing chinchilla. In Games this week, campers played a cool, creative game of non-competitive, non-moving basketball, where two campers hold hula hoop ‘hoops’, and everyone else, spread across the large field, has to pass the ball along and get it to one of the ‘hoops’ without anyone moving their feet. 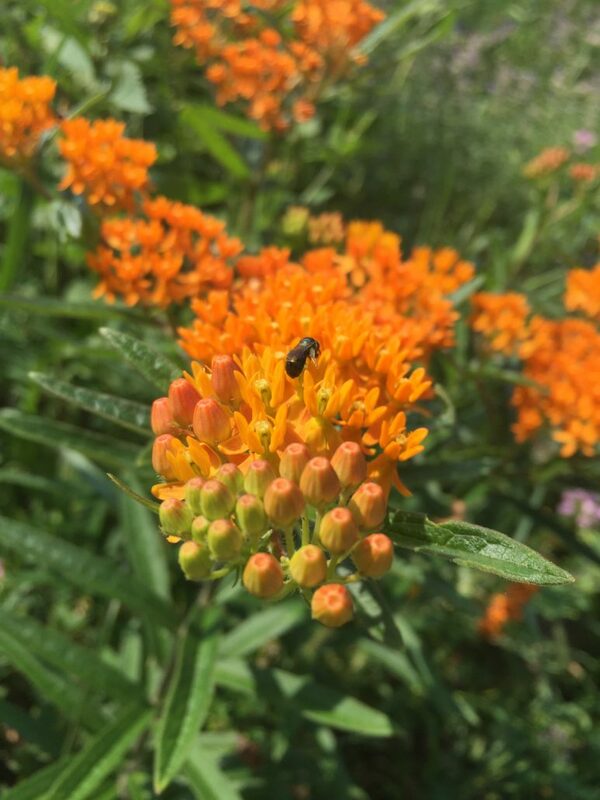 In the garden this week, campers identified all sorts of medicinal plants, made sun tea, and of course did some weeding, watering, and transplanting. Hobbies this week included animal exploration, climbing, drumming, extreme mucking, knife skills, farm, music olympics, note holders (woodworking), making pumpkin ravioli, skit builders, wall hangings, wild food foraging, making magic boo boo cream, and stick masks. There were many onsite overnight camping trips on our Mary Dailey field. These onsite overnights solidify basic camping skills, and are full of magic. The fireflies rival the stars in twinkling brightness, the crickets and birds sing sweet twilight songs to ready campers for bed, and the morning sun comes in over the treetops with the promise of a new, full day at camp ahead. Our onsite overnights are filled out by a visit from Paul Tappenden, wild food forager, and by Scott Louis, who brings campers knowledge, stories, and songs about the stars gleaming overhead. Next week at camp is themed Be’an Green. Besides fun with vegetables in the garden, at the farm, and in the kitchen, we’ll explore what it means to live greenly on the earth, sustainably and with respect. I have a feeling it will be a pretty corny week, with plenty of bad vegetable puns. Next week also finds groups I, J, K, and L sailing the sloop Clearwater, three hours on the Hudson River learning all about the river’s ecosystem and history. 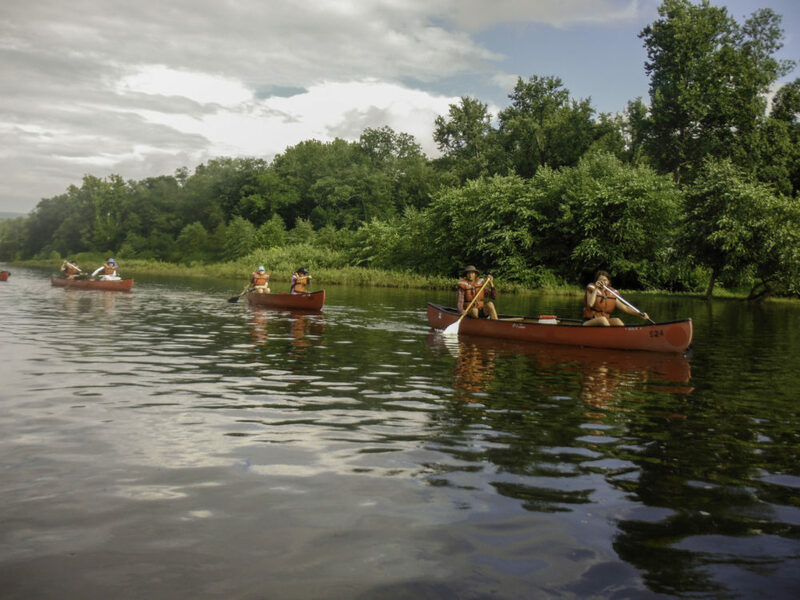 Our Cedar Pond canoeing overnights begin next week. 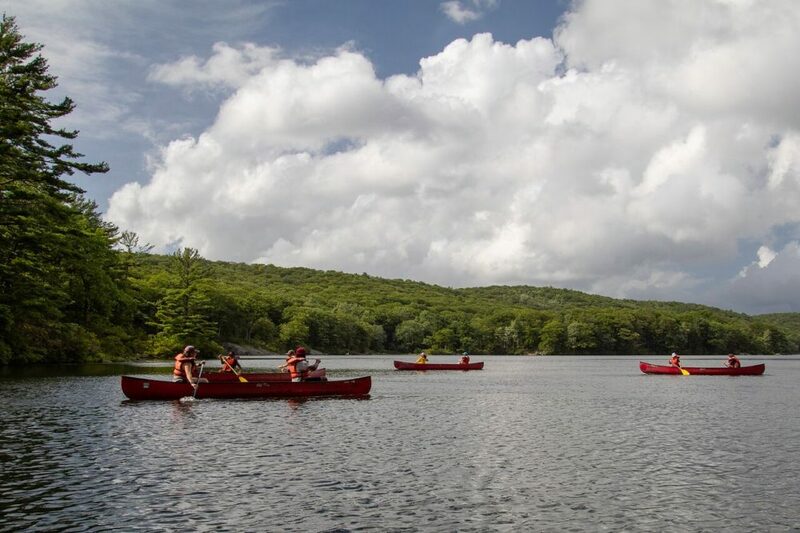 Groups learn canoeing skill on a beautiful peninsula in Harriman State Park, right on lake Tiorati. Besides beginning our canoeing adventures, there are four onsite overnights, three backpacking trips, and two day hikes coming up next week. The week will conclude with a performance by the wonderful environmental performance art group Arm-of-the-Sea Theater. This summer, we’ve been happy to bring back our optional lunch program through our neighbor, the Threefold Cafe. The cafe has worked hard to create a lunch program that lives up to our sustainability standards, and besides that, their food is super yummy! You can find out more about the cafe camp lunch program here. We’re just four short weeks away from the end of camp, and it’s hard to believe how quickly this time passes when we’re having so much fun! If you’d like to enroll in our one-week offerings that take place that week after The Nature Place has ended, August 13th – 17th, the time is now. You can see information about Farm & Garden Days, Art & Earth, or Passages, and of course you can be in touch with us if you have any questions. I hope your family has been enjoying camp as much as I have. What a pleasure and privilege it is to be learning and playing outdoors, with friends, all summer long! Our first week of camp has been plenty hot, with short periods of strong rain, long stretches of bright sun, and the excitement of getting to know fellow campers, counselors, and the streams, trees, hills, and dales of camp. At the end of each week of camp I’ll send you a letter telling you about highlights from our recently concluded week, as well as sharing some things to look forward to the following week. This week was ‘Taking Care’ week, which has been the theme for our first week of camp for thirty-three summers in a row! At our annual winter retreat we often debate whether we need to freshen up our first week’s theme – should we rename it ‘caring’ week, ‘connecting and sharing’ week, ‘treating things with respect’ week? None of these have exactly the right ring to them, and they also don’t encapsulate our intentions for the first week quite as well as ‘taking care’ does. Some traditions are worth keeping! Our first week of camp sets the stage for a successful summer: we learn how to take care of ourselves (with sun protection, hydration, hand washing), how to take care of our friends (with kindness and respect), and how to care for our earth (because there’s no replacement). At the start of each day, we are introduced to these ideas at Morning Share. During Share this week we had an appearance by The Hydrator, who overzealously brought water to those in need. On Thursday morning we met the new Thurston on Thursday (who bought the rights to the name from the NPDC production studio after last year’s retirement of the ‘real’ Thurston). Morning Share is a consistently goofy time at camp, and the whole camp singing our special birthday song, accompanied by a visit from the flower fairy, makes each morning complete. When a camper says something particularly apt and often unintentionally funny, at The Nature Place we call that a ‘quotable quote’. A camper was running a ‘nature store’ after lunch time, announcing to potential customers, “Buy nature, with nature!” Another camper then came up and gave her two acorns in exchange for the rock she was ‘selling’. In a getting-to-know-you game, a counselor said, “Stand up if you have a sibling!” Nearly every camper stood up. The counselor soon found out that ‘sibling’ had been widely interpreted to include fish, dogs, cats, bearded dragons, pigs, chickens, and plants. A camper, lying on the floor, was asked by a counselor, “What are you doing down there?” The camper replied, “I’m practicing my backstroke!”. 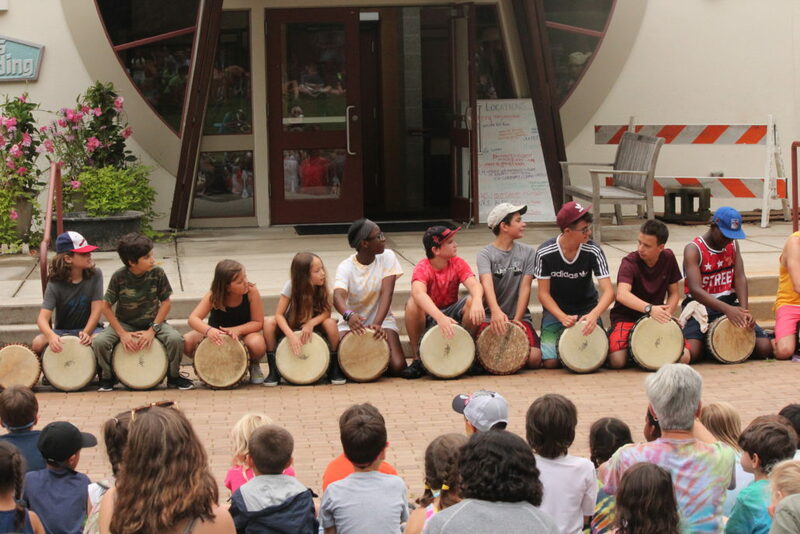 In music with Rocki, campers learned new songs and accompanied them on simple instruments. During Nature with Alex this week, campers identified hazards in nature, especially living ones like plants, fungi, and animals. Campers were challenged to find three plants that had three leaflets and that weren’t poison ivy. In cooking with Eva campers baked savory whole wheat scones, and through this explored the process of chemical leavening and the importance of grains in different cultures. In Outdoor Skills with Joe, campers learned how to move silently through the landscape, using stalking and silent movement techniques. During Archery, campers learned safety protocols and worked on their accuracy with the bow and arrow. In Drama with Janet, campers did the hula hoop pass, the hand squeeze pass, and created skits about soap, bugs, and sun. In Nature with May, campers identified different animals and plants, learned about predator/prey systems, and played all sorts of games to understand these concepts! At Games this week, campers played cooling water games, untangled the human knot, and played group tag games. 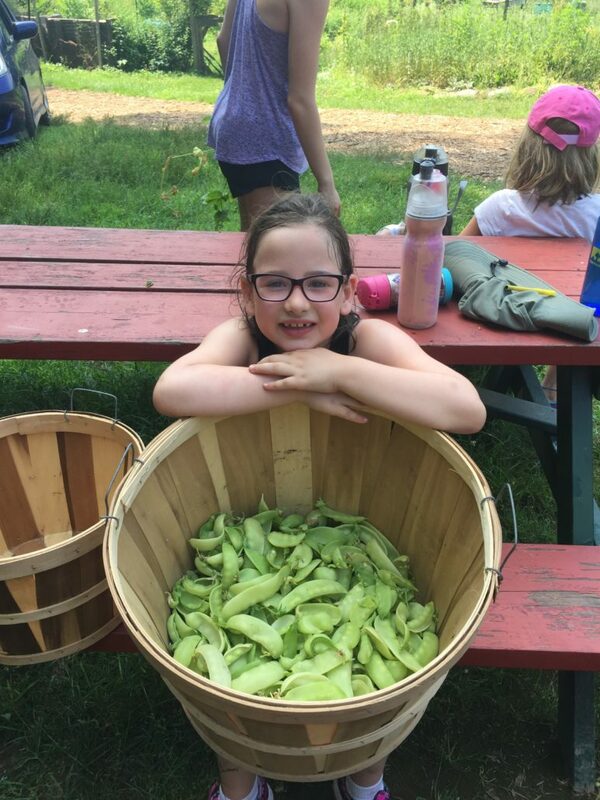 In the garden, campers went on a scavenger hunt to learn what is growing there, and planted seeds (beans, corn, lettuce, chard, kale, and collards). During Farm, we harvested (and ate) the season’s last snap peas and helped with farm tasks! This week, Outragehisss Pets brought in grasshoppers, a snake, a hedgehog, two scorpions, a small lizard, and a baby alligator. Our storyteller Chuck Stead told a tale that involved finding a frozen snake in winter, a continuation of a tale he’s been writing about in our monthly Dirt publication through the year. Chuck, Ricky, Dougy, and Cindy brought the snake back to Uncle Mal’s store, where it unfroze by the heater, and then it came alive! Hobbies this week included making dream catchers, embroidery, water games, knife skills, mucking, a panini party, chickens, nature’s keepsakes, and more. With the 4th of July holiday falling mid-week, we had just a few day hikes and camping trips. Groups hiked up Long Mountain, via the Long Path in Harriman State Park, and climbed Indian Hill in Sterling Forest. We had one onsite overnight, one backpacking trip, and a rain-slogged trail-building experience that certainly won’t be forgotten! Next week at camp will be our first full week of the 2018 summer season. It’s hard to believe we’ve only been in camp for one short week. Once we’re up and running, it really feels like camp has just been continuing since last summer, with a brief, forgettable pause for the cold of winter. Next week there will be four day hikes, four onsite overnights, and three backpacking trips. Bill Robinson, wildlife rehabilitator, will join us next week, bringing some of the animals currently in his care. This often includes big birds of prey like hawks, owls, vultures, eagles, and falcons, and bear cubs and alligators too. Thursday of next week, July 12th, from 7:15 – 8:15 pm, is our family program ‘Songs around the Campfire’. You are invited to come back to camp (you can bring friends, family, and neighbors) to learn and sing some of the songs your children have been singing at camp. 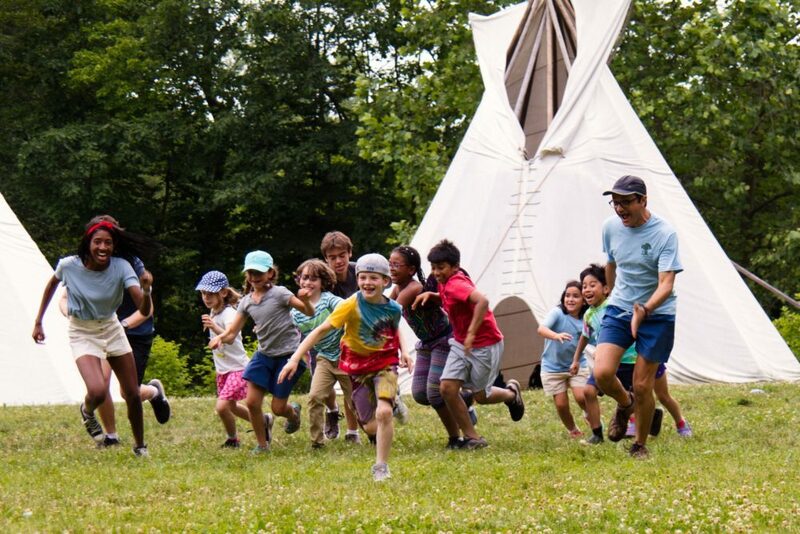 Busy with the logistics, silly fun, outdoor immersion, and the general unique energy of camp, we’re already thinking about our one-week program offerings happening after our six weeks of The Nature Place. 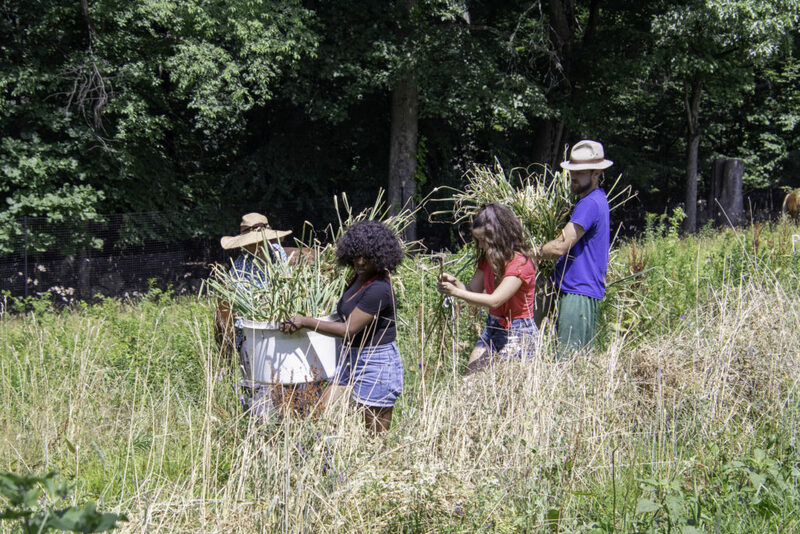 There’s still room to sign up for Farm & Garden Days, Art & Earth, and Passages (our teen rite-of-passage wilderness program). These programs run from August 13th – 17th, and are specialized weeks that expand upon a few of the many things we do at The Nature Place. Have a wonderful, temperate weekend, and we’ll see you at camp next week. 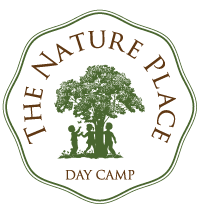 The newly established Nature Place Day Camp Campership Fund was created in the hopes that, through the support of those whose lives have been touched by camp, we can give the Nature Place experience to even more children who would not otherwise be able to attend camp. 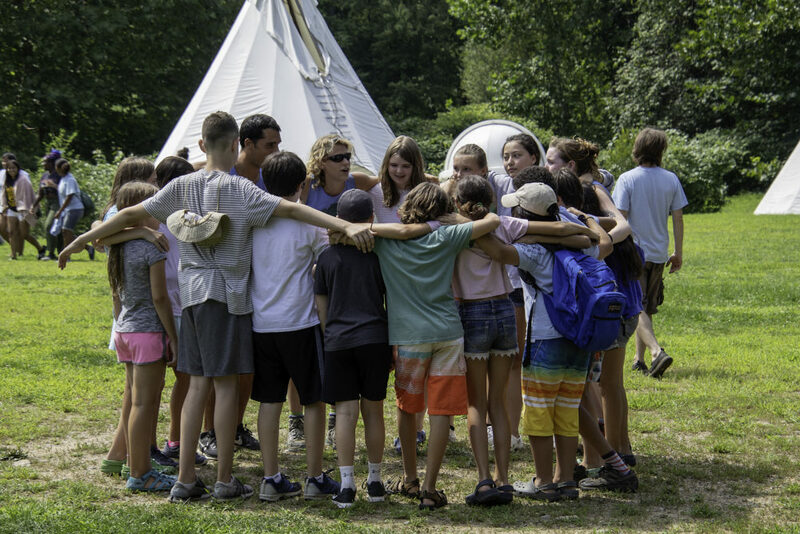 Through our partnership with the American Camp Association, The Campership Fund accepts tax-deductible donations of any amount, and the funds go directly to camper tuition for families in need. If your life, or your child’s life, has been impacted by a summer spent at The Nature Place, we hope you’ll consider spreading the magic and passing on that gift to another child. We have a fundraising goal of $10,000 for the first year of our fund. Look in your inbox and via social media on #GivingTuesday for the launch of our Campership Fund page and for donation details. Introducing Our New Year-Round Program! 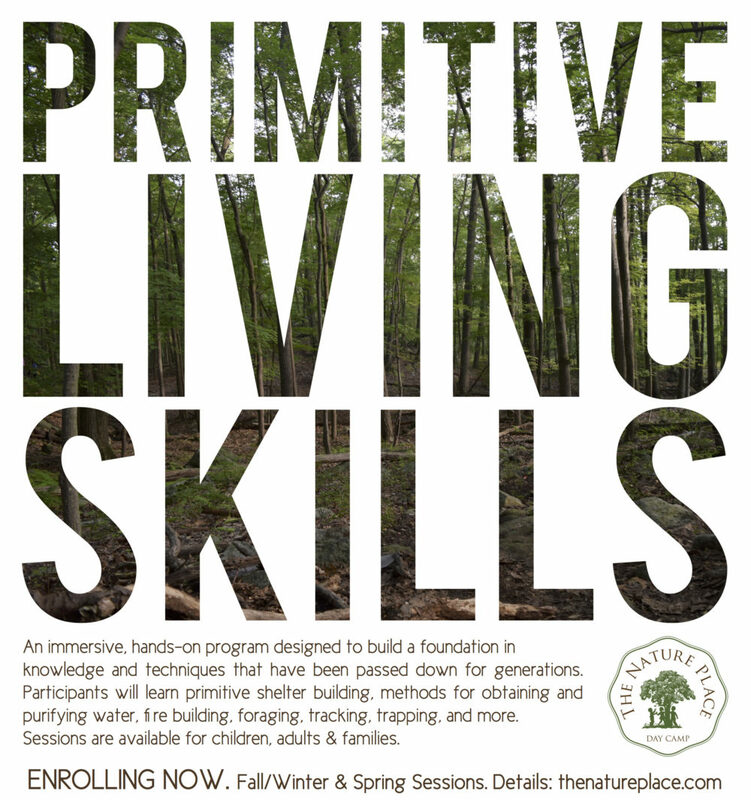 We are so excited to announce the launch of our new Primitive Living Skills program. Click on the image below for more information about weekend series for children, adults, and families! https://thenatureplace.com/wp-content/uploads/2017/10/pls-2-e1508516525195.jpg 228 282 Daniel https://thenatureplace.com/wp-content/uploads/2014/11/TNP_Final_OTL_Web_sm.png Daniel2017-10-20 12:18:012017-10-20 12:22:18Introducing Our New Year-Round Program!